Haskap berries are a new “superfood” and grow abundantly in Nova Scotia, having been heavily promoted in the last few years. Why not make a gin from them? Haskap berries are known by other names, like the honeyberry or blue-berried honeysuckle (they are in the honeysuckle family). As with all Steinhart gins, no artificial flavours or additives here. Another rich, fruity, and spicy gin. The fruitiness is more like elderberry – rich and slightly tannic. Licorice notes, dried mixed berries, strawberry jam, marmalade, and the cinnamons which have more of a woody than a spicy characteristic. The palate is dense, and lightly sweet – with the rich berry notes, light bitterness (almost like clove) and a finish where cereal notes emerge alongside more rich dried berry. Throughout, there are light incense characteristics. I haven’t tried haskap berries before – but this reminds me a fair bit of elderberry, and it’s rather nice. I suppose it’s not surprising – the berries are both in the honeysuckle family. Assessment: Recommended. Very unique and well put together. It would mix well, with all the dense fruity and spicy flavours. In fact, a case could be made to use this as a Campari substitute in a “negroni”, with one part gin, one part this, and one part sweet vermouth – or even dry in this case. Arisaig, where Steinhart distillery is located, is famous for its blueberries - some call it the blueberry capital of the world. Why not, then, make a gin with blueberries? This is made with local wild blueberries, not additives or colouring. A bit of a dark, rich earthy start – blueberry is indeed there, along with a rich spiciness and some pickled lemon. The nose is sweet, but quite spicy – in a woody sense, like nutmeg and cinnamon. It isn’t fruity in a bright fruity sense, but denser – like the dried flower, woody, and spicy notes in dried berries. The palate is fascinating, loaded with berry notes, juniper, lemon peel, and a rich berry, citrus, and spice finish. It is incredibly rich, and isn’t as sweet as you might expect – compared to most sweetened fruit gins. Terrific! On another note, it’s made me see different sides to blueberries, which isn’t insignificant. Assessment: Highly Recommended. This is really rich, unique, and tasty stuff. The bottle is beautiful, too. 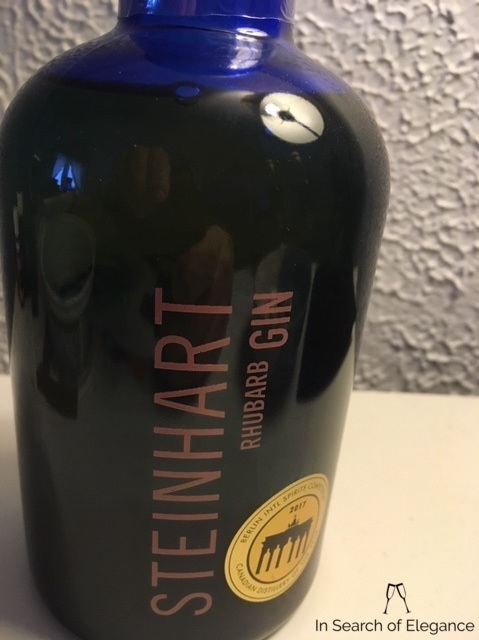 To create this gin, Steinhart had to source rhubarb which grows like a weed but is expensive to buy (odd that) - so they utilized facebook and all their connections to source all the rhubarb they could locally - and they created this, a rather wonderful gin that is released when the rhubarb is in season and sells out every year. This is a rhubarb gin, and perhaps my favourite part is this: it is very clearly rhubarb. They don’t shy away from it, and it is brilliant. The nose has rich vegetal characteristics, earthiness, and some rich woodiness, spice, and bright fruit – but rhubarb is at the center. The palate is tangy, with a nice core of rhubarb and hot spice (like cayenne papper), with a rich rhubarb, spice, and juniper finish. It is quite awesome – easy to drink, yet complex, and still unique and rich. Most excellent. This is sweetened so it is a bit syrupy – but I quite like it. I was immediately curious how it compared to Dillon’s Rose Gin, another Canadian sweetened and richly flavoured gin. It’s quite different – a bit more distillate forward, and very much light and floral compared to this – which is rich, thick, and spicy. Both excellent – Dillon’s might be more elegant but this is richer. Which do I prefer? Probably this, but that’s likely a mood question. Assessment: Very Highly Recommended. I had it at “highly recommended”, but this is so unique in how it utilizes an ingredient I rarely see in gin – rhubarb, and it’s focused around it so beautifully. And it’s one of those gins, for me, that makes me think of childhood and rhubarb pies – and it’s so special to have food or drink bring you back to good early memories. 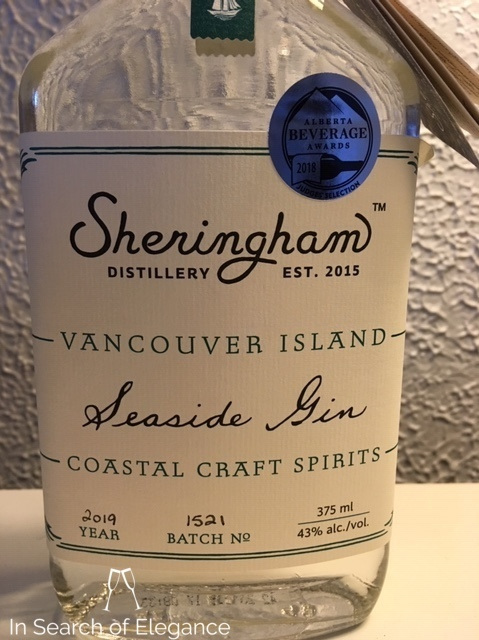 The first producer of gin in Nova Scotia, and a rather good one - this got my attention at the World Gin Awards (judging was blind, I found out later what it was) where it eventually picked up the best Canadian “classic” gin. It is made with Prince Edward Island wheat and legitimately fresh ingredients - the citrus peel which goes into this gin is fresh, not dried, from organic fruit. Diligent care is taken in distillation cuts to produce exactly the profile desired, and it’s not just one cut as often seen with whisky. The juniper is from Tuscany as Canada doesn’t get warm enough summers to achieve the flavour profile desired. It is bottled at 47.5%, so it packs a good kick of flavour – and comes in a beautiful blue bottle. It is made from a wheat base combined with 26 botanicals, including rather expensive ones like vanilla and saffron. What a beautiful nose as you pour the first glass – bright mixed citrus peel, woody juniper, deep coriander spice, and a light earthiness. The nose is intense, yet balanced – citrus, rhubarb, lemon, coriander, dill seed, cucumber peel, and fruity notes – something like grape – tying everything together. The palate is rich and spicy, balanced between the woody notes, the fruity notes, cucumber, and the spice. There is a slight sweetness which balances the palate quite nicely. A nice mouthfeel, viscous and spicy. The finish is long and developing, with waves of cucumber, spice, juniper, and coriander. The finish is very nice and clean, too. This might be a touch hot for some, but a touch of water really opens this up and you don’t lose any flavour with some water. Excellent! 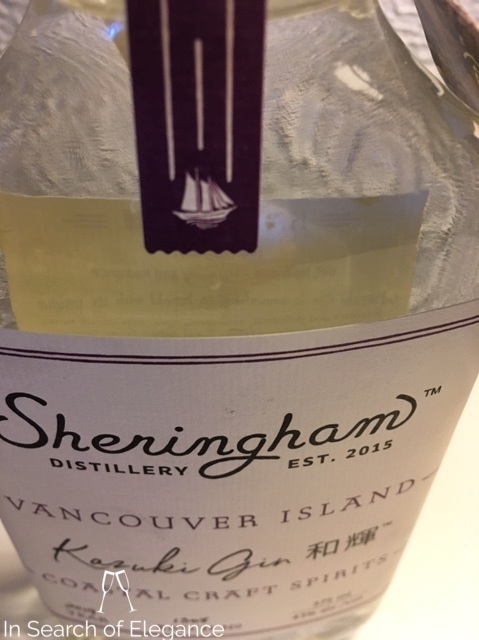 This is a terrific gin to sip – one of my favourite Canadian gins. Of course, it mixes well too – but some of the subtlety is lost in cold cocktails. Assessment: Very Highly Recommended. This is nearly a perfect complex gin for me, sipping wise, and it is a masterful mixer - it really is. Genever is where Gin originated - it was British soldiers fighting the Spanish in Holland who first developed a taste for this spirit, with a grain base (much like a whisky new make) which is steeped with botanicals such as juniper. It tastes much more like a whisky new make than it does a clean, citrusy gin. It is still the national spirit of Belgium and Holland. Bols is the most influential genever brand in the world, with a recipe being produced which dates back to 1820. The distillery got its license in 1664, and Lucas Bols, the head of the company, had close ties to the Dutch East India Company which allowed easy access to spices for his genever. It's a very interesting spirit - I highly encourage those who haven't tasted it to give it a go! A lot of the flavour in the spirit comes from the triple distilled corn, rye, and barley - it is grain driven, unlike sister gins. It really reminds me of new make, but it has an appeal to it. Early on in my whisky enjoyment, I probably wouldn’t have liked this. I like it now. Rough and farmy, with a real farminess to it, but, behind, an edge of woody juniper and mixed spices – largely coriander. The palate is grainy and slightly hot, with a finish flourishing in farmy grain notes (sorry for the repetition – I mean by this something like a fermenting mash of grain – like a malt driven beer or a distillery). The palate is oily and rich, and the finish is spicy and woody and sweet – it’s a nice contrast. It’s not something I’d put down a lot of money for, but it has a really nice raw essence to it and it’s the kind of thing I am tempted to reach for after a social engagement to wind down. 42% is a nice strength for it, too. This gin is made from 8 traditional botanicals (juniper, coriander seed, angelica root, angelica seed, cardamom, cinnamon, lemon peel, bitter orange peel) to which 6 botanicals are added to highlight all the season in Japan - sakura cherry leaf and sakura cherry blossom for the sping, sencha and gyokuro tea for the summer, sansho pepper for the fall, and yuzu peel for the winter. As Suntory is apt to do, the bottle is 6 sided to denote these 6 core seasonal components. Suntory first started making gin in 1936 with an old tom gin called "Hermes gin". This, however, is a very modern gin launched in 2017. The exported edition sits at 43%, while the Japanese domestic version sits at 47%. Juniper and lemon peel lie at the centre of a richly spicy nose. But it’s more than just baking spices – it is actually peppery with spicy notes. Coriander ties the citrus and the spice together, and it has some very nice high floral notes on the nose too. The palate starts off woody and spicy (nice coriander spice) before slowly heating up to peppercorn and chilli, with juniper and a drying tannic finish a bit like tea. The tea notes really develop on the finish – quite nice. It is very well balanced – great floral top notes, great citrus, a nice array of spices and teas underneath, and light woodiness. Perhaps to convey more clearly: I’ve never had a gin (or spirit) which so delicately and appropriately linked floral, citrus, spicy, woody, and deep vegetal (i.e. tea) flavours together. The nose alone is worth significant effort – how often is that true for a gin? It’s the best gin I’ve tasted to date (to drink neat). Even better at higher ABV.